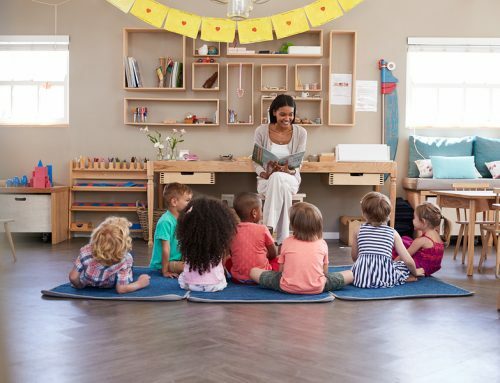 Early childhood is one of the most important stages of an individual’s development, with much of the vital groundwork for a healthy and functional adult laid in the earliest stages of development. In the past, we’ve blogged about how early childhood sets the tone for an individual’s adult life. That means preparing them for the schoolyard, being respectful of other cultures, their spoken ability and their literacy and numeracy. Today, we want to focus on the physical stuff – motor skills. In particular, gross motor skills. Gross motor skills are essential for normal everyday life – where would we be if we couldn’t walk, climb stairs or move our arms? And as a childhood educator (or someone who is about to study childcare! ), you are responsible for helping to develop and practice these essential skills – not just in the kids who might be late bloomers, but for all the kids in your care. If you don’t know where to start, don’t worry! We’ve prepared a list of great activities that will train and improve gross motor skills in your kids – and most importantly, that are plain old fun! Gross motor skills refer to an individual’s ability to control their bodies – particularly larger movements. They’re all about the movement of your entire body (hence “gross”, as in total). Think about every time you get up out of your chair, walk up or down a staircase and even maintain your own balance – your gross motor skills in action! And it’s during early childhood the most development of gross motor skills occurs. In a handful of short years, children go from only being able to wildly flail their limbs to walking, running, balance and jumping. Make no mistake, developing gross motor skills is a major milestone in early childhood. In any educational setting, some children are going to develop faster than others. 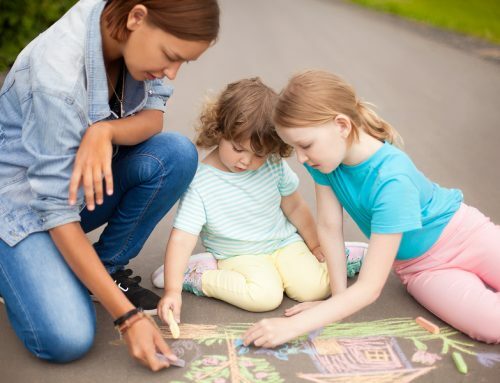 As childcare educators, it’s essential that you know how to identify when a child may be struggling so you can provide support and attention to help them catch up. 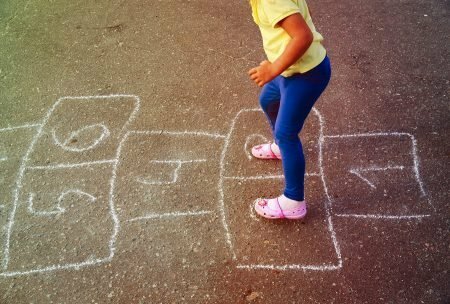 What can childcare educators do to help improve gross motor skills? Your body’s “core” refers to the large, central muscles in your body. In particular, your torso. Your core is essential to developing good gross motor skills. It provides support, balance, and stability. Issues relating to poor gross motor skills can often be traced back to a weak core. The following tips and activities are great ways to help strengthen a young one’s core and as such improve their motor skills. Games are any childhood educator’s secret weapon if a day at a childcare facility is going slow. Kids love games. And who can blame them? Kids want nothing more than to run around and have fun – ah, the simple things! But did you know that by including a range of fun activities and games in your daily routine, you’re also helping kids develop their gross motor skills? 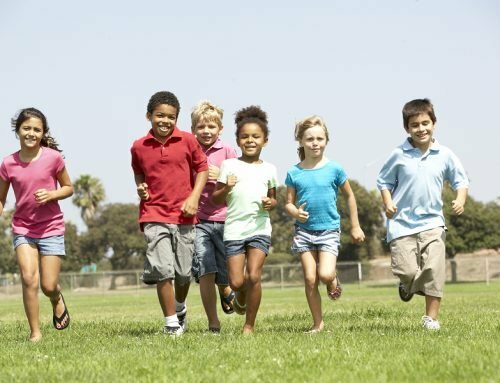 What is it about running that kids love? It seems the older you get, the less you love to run! Let them run free! This is a great activity that helps improve balance as well as body awareness (weight, movement, flexibility, etc). Fly like an eagle! Jump like a frog! Waddle like a duck! Or why not let kids impersonate an animal or object, and you try to guess what it is? Nothing beats putting on some fun tunes and having a boogie! While the kids you care for might be a tad too young to start learning Wing Chun, it is important to encourage your kids to repeat their gross motor skills in order to improve them. Whether it’s learning another language, getting the hang of a new recipe, or taking your first driving class, repetition is the key to mastery. After all, no-one ever became a tennis champion by only ever stepping onto the court once. And when it comes to improving gross motor skills in children, this rule still holds true. Build a repertoire of effective games and exercises to improve gross motor skills in your kids and then practice them. And then repeat them again. Everyone knows we have five senses: sight, smell, hearing, touch and taste. And when it comes to gross motor skills, these two senses play a key role in developing motor skills. They keep you stable and upright, for starters. Make no mistake, both stability and balance are essential for the large actions – after all, you can’t have effective whole body movement if you’re falling over every second step. And spatial awareness goes hand-in-hand with balance! It’s important that childhood educators such as yourself plan activities that stimulate both of these senses in a child. Fortunately, early childhood educators have a whole bevy of different tools at their disposal to exercise the body’s balance centre. One example of this are swings – not only are they a hit on the playground, they also help your child exercise and refine their sense of balance by stimulating the vestibular system. Another option you have is using balancing boards and bosu balls. And if you want to improve a child’s sense of space, tunnels and monkey bars are a fantastic option open to most childcare educators. Of course, putting these activities into your routine doesn’t just help develop children’s essential gross motor skills – it also helps them burn off energy! Any parent, teacher or early childhood educator will tell you that kids have a lot of energy that needs to be expelled one way or another. If you let this energy build up without some form of release, children become… restless, to say the least. Leave things as they are and you could have the beginnings of a nasty tantrum on your hands. 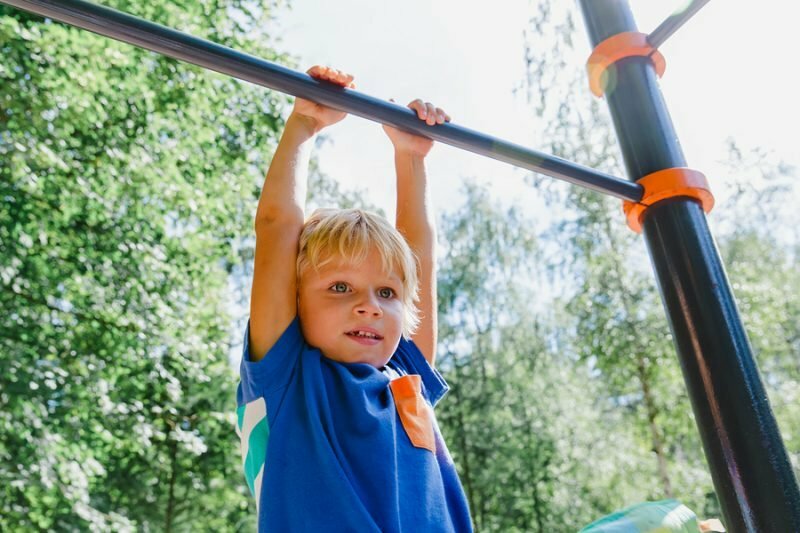 Planning any of these gross motor skill-enhancing activities doesn’t just improve their gross motor skills… they also helps kids burn off a lot of that excess energy. Because on top of preparing kids for school and the rest of their lives, your job is also about ensuring that kids are enjoying themselves and having fun! …and help young children get the best possible start in life! Giving children get the best possible start to their lives is about a lot more than just improving gross motor skills – teaching social skills, respect for others, challenging their rapidly developing brains… the list goes on! Early childhood educators are responsible for a lot of things. That’s half the challenge – and half of what makes it so rewarding! If this sounds like your dream career, talk to Southern Solutions today about how you can study childcare! We offer a range of childcare courses that don’t just teach you everything you need to know, but nurture your passion for changing young lives. Make a change today towards the career of your dreams! Contact us here or chat to one of our career consultants – call 1300 656 321 today!